It was interesting to watch the public preparations for the Chinese New Year celebration. It was easy for me to assume I understood it all, for much of what I could see as a foreigner looked the same as the Western preparations for Christmas and New Year holidays. I have held this cognitive bias for as long as I’ve known about Chinese New Year, roughly 24 years. My brain simply made the connection between the Chinese holiday, which I knew very little about and the Western celebrations which I have participated in, my whole life. It is only when I started to do a little research, when I got curious, did I realize that, while they have the same turning of the calendar to a New Year, that is the only real similarity. Over the years I have learned about the Chinese New Year holiday. The business I was in relied heavily on Chinese labour to produce garments, so it was critical to our corporate planning to understand various aspects of the tradition. Although we were only really concerned with the business impacts, how many days would the factory or office be closed for and what was the estimated loss of workers who would not be returning. Was there a plan to recruit new workers and not lose momentum in the factory. Those kinds of things. Any mention of the deep meanings behind the other elements, far more important to the Chinese, were not really discussed. While China officially operates on the Gregorian calendar and has set the time zone to Chinese standard time, mechanisms which allow simplified world-wide trade and communication, the traditions of private life hold fast to the Chinese calendar. This lunisolar calendar is different and far more complicated than the solar Gregorian calendar. The Chinese calendar reckons years, months and days according to astronomical phenomena. 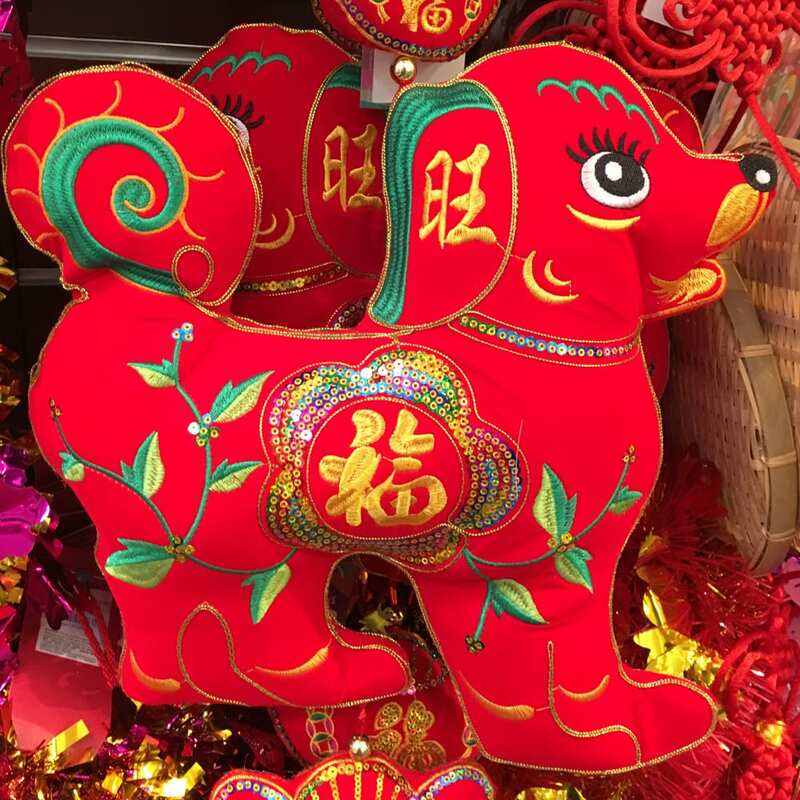 It depicts and lists the dates of traditional Chinese holidays, and guides Chinese people in selecting the most auspicious days for weddings, funerals, moving, or beginning a business. The reason behind selecting one day over another are predicated on the amount of luck they might bring. The Chinese have many beliefs in daily life which involve the improvement of good luck or the avoidance of bad luck. The Chinese calendar is only one of the guides used. The number 4 is considered bad luck and is avoided in elevators. You will see floor 2 and then 3a followed by 3b and then 5, as you move up. The same skipping of 14 will occur and so on. There are holes in buildings in Hong Kong which let the good spirits or dragons move through, on their journey from the mountains to the sea. This architectural detail is outlined in the practice of good feng shui and when it is ignored, bad things can happen. Every time you turn around there is another example of luck or chance, some new superstition to learn about. It is curious that so many people hold so tightly to these types of beliefs. It is not an exclusive practice to China. All cultures have their special routines and rituals. Evidently, the reason people enjoy upholding a superstition is, it brings a sense of control into their lives. This delivers a perception of happiness over what the future will bring, even though intellectually there is no cause and effect to their actions. In the belief and practice, there is comfort and that brings a feeling of well-being. So there is no harm done. We get into moral trouble when superstitions are left behind by people who think they know better and cognitive biases develop into flawed thinking. This is when the water can get really murky. For there is no amount of logic which can change a persons superstitious mind or shortcut a deep cognitive bias. A certain amount of cognitive bias will always be present. It is the mechanism by which our brain is able to classify, sort and discern the multitudes of information which needs to be processed in real-time, allowing us to make timely decisions. We would never be able to make quick decisions if our brains were not able to make these fast connections. As with anything in the brain, the cognitive pathways can become very well-worn. At a certain point we don’t question thoughts at all, the mental shortcuts replace them. Problems arise when we misinterpret these mental shortcuts. Over time and consistent misuse, cognitive biases can contribute to things such as stereotypes and prejudice. As we continue to travel, my cognitive biases are being challenged at every turn. I’ve had ways of moving about the world and travelling which have served me well and got me from point A to point B quite fine. But all my routines of the past have to be rethought simply because I’m not alone in this travel adventure. I am also playing several new roles, which I’ve not done before. All those changes are quite a bit in and of themselves, then add in the fact that we are experiencing so many new cultures at every turn. My tried and true cognitive biases don’t help so much. At first, when I started to research this topic, I reasoned that all I needed to do was identify what these biases are and simply eradicate them through logic. But that is not how the brain works. I think an easy way to think of it might be that the brain is a car, the cognitive biases are the quick decisions we make that let us drive at highway speed and logic is knowing how to get there. Turns outs there are dozens of cognitive biases which psychologists have identified. I’ll give some personal examples of a few that hit home to me with some personal examples. Choice-supportive bias is defending and supporting your own choices, opinions and decisions even if they have palpable flaws. Like many other biases, it’s an ego thing. We identify with our decisions, perceiving an opposition to them as an opposition to us. This has been a battle around meal time at our house. I am constantly inspired to cook new and interesting dishes, creating what I think is a taste sensation. I really enjoy this and so does my son. My husband and my daughter, not so much. Over the years I have been easily offended by their refusal to even try some of what I have made, taking their actions to mean they are refusing my love, care and gifts of food. What I have never been able to logically separate is the food itself and my feelings about having created it. Confirmation bias is favoring information that conforms to your existing beliefs and discounting evidence that does not conform. We tend to expose ourselves only to information that confirms our belief systems. This cognitive bias is the most widespread and pervasive. I think this is insidious. I am as guilty of this as the next person. It is even human nature to surround ourselves with people who are like us. Not just people who are like-minded but even people who look similar in a physical way. Another benefit of travel is that we don’t have this option right now. For most of this travel year we are in foreign lands and if we want to talk to anyone but each other, we need to get comfortable and curious about all sorts of different things. From people to culture to environment to food. Nothing is familiar, sometimes. The trick will be, when we go home, how do we settle back into our old life? Conservatism bias implies favouring prior information over new information because prior information supports our beliefs and new information may have the tendency to shatter them. Where the confirmation bias allows us to easily filter out anything which does not support our belief system, the conservatism bias has us holding fast to only the golden oldies. This is extremely dangerous because not only are we myopic but we are old-fashioned as well. But, I can see how this happens. Before we decided to travel, I felt this happening to me a lot. And still I need to fight my desire towards the conservatism bias. My son can get really frustrated with me as I hold up certain categories of old music as the only songs worth listening to. I have to dig deep to try to become more open-minded here. There are many more, depending on the reference article I read. What is important here is not to worry about the bias itself. There is little point in doing so. Trust that biased thinking is fairly practical in many situations. After all the brain has a penchant to be self-serving and over protective. But, when the situation calls for important decisions, fair assessments or accurate conclusions, we must take more time to examine the thought processes. I think this is easier said than done. Particularly as we get older. Any flaws in our thinking as a result of cognitive biases probably become more difficult to recognize. The grooves are so well-worn, everything appears to be speeding along nicely. I have found a few practices to be useful. Think like a beginner. This is super easy for me because I don’t know very much about the business I am trying to create, for example. I only have to contend with biases from other people, who know more than I do. Luckily we are better at spotting biases in others than we are in ourselves. I try to surround myself with a variety of opinions. I am curious about why people think differently than I do. That has not always been the case for me. I tended to shy away from people who had vastly different ideas to me. But I have found my ideology getting too myopic this way. I need to know what I don’t know. Take more time to ponder. I am not in any kind of rush. I have the luxury of building my business slowly. I get to learn from all kinds of different people. I don’t have to get anywhere quickly. I can ruminate a little longer than I used to, taking everything into consideration before I make a big decision. Some who know me, may burst out laughing, knowing I’m full of cognitive biases. That is true, I am. But I guess the past does not need to equal the future. The biases are not going away. But I can keep my mind open to new ideas by being curious. That was how I used to be, as a child. Asking lots of questions was my thing. That young one was on to something. Time to revisit some of that youthful vigour. Fascinating post – I find the human brain and how our mind/thoughts affect our lives to be worthy of study, not just by brain scientists, but by us ordinary people too! Kelly – so true! There is much to be gained and very little to lose by learning about how and why we think the way we do. “If we don’t get women and people of color at the table — real technologists doing the real work — we will bias systems,” Fei-Fei Li, Google’s chief artificial intelligence and machine learning scientist, told Wired. Undoing that bias later, she says, may be “close to impossible. ” Building for your entire consumer population can also help avoid accusations of bias and embarrassment, as Apple learned when its facial recognition feature struggled with black and Asian faces, sparking charges of racism. I agree, I think those who have held the power for so long, those who have created the problems we are facing will not be the ones who are able to set us on the right course for the future. To believe that the current power elite will break with status quo is crazy. I think Einstein said something to that effect.